Sgt. 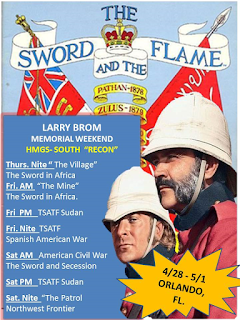 Guinness: "Larry Brom Memorial Gaming Weekend at HMGS-South's Recon 2016"
"Larry Brom Memorial Gaming Weekend at HMGS-South's Recon 2016"
If you are interested please check out the HMGS-South's website for details. Last Stand Dan and I will also post various tidbits on our blogs about our planned games. Do check out Dan's blog as you will see some of the amazing pieces in his Sudan collection, most notably his Awesome custom made gunboats! "Larry Brom Memorial Gaming Weekend at HMGS-South's Recon 2016". Thursday night: The Village, a "The Sword in Africa" scenario from TSATF 2000 Scenario Book. 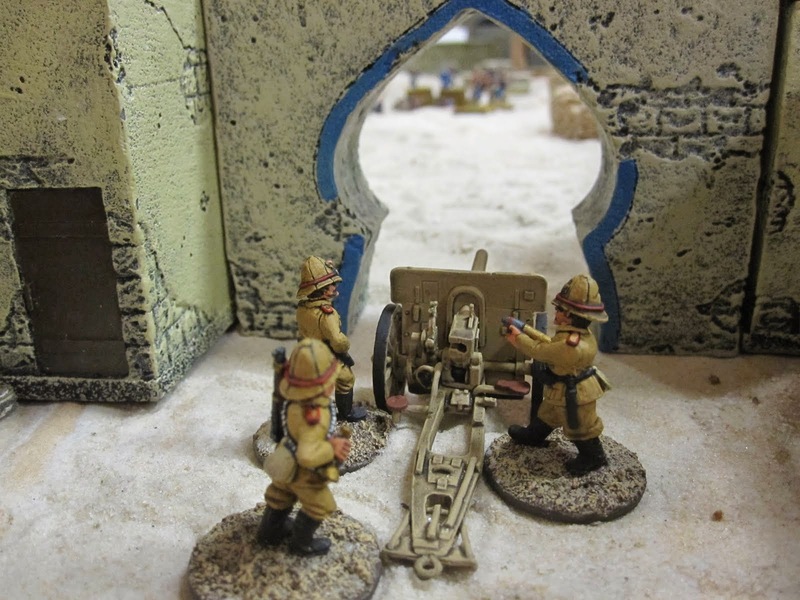 Friday AM: The Mine, a "The Sword in Africa" scenario from TSATF 2000 Scenario Book. Saturday Afternoon:- TSATF Sudan - "River Operations In The Sudan". Saturday Night: The Patrol - a take off on a NWF Gunga Din scenario from TSATF 2000 Scenario Portfolio. Historical Miniatures Gameing Society South. Sergeant, could you drop me a line when you get a chance? I hope you are well this fine day. How may I be of service sir?